AUGUSTA -- Dan Nichols has multiple sclerosis and is worried that his home, the Portland Center for Assisted Living, will be closed next year. Nichols, 58, told an attentive group of lawmakers Wednesday that he never thought he would have to live at the center, but the progression of his disease took his ability to get out of his wheelchair by himself. Now, he’s one of 152 people who live at the center, nearly all of whom rely on Medicaid to pay for the service. Gov. Paul LePage is proposing to end Medicaid funding for Mainers who live in such private non-medical institutions as part of a plan to close a budget deficit that’s projected to be $221 million over the next 18 months. About 6,000 people, many of them sick, elderly or disabled, would have to find new places to live as of July 1. Saxby and other religious leaders began a vigil at the State House on Wednesday that will continue through the conclusion of the committee hearings on Friday. Next week, lawmakers will begin discussing the proposal at work sessions before forwarding a proposal to the Legislature early next year. 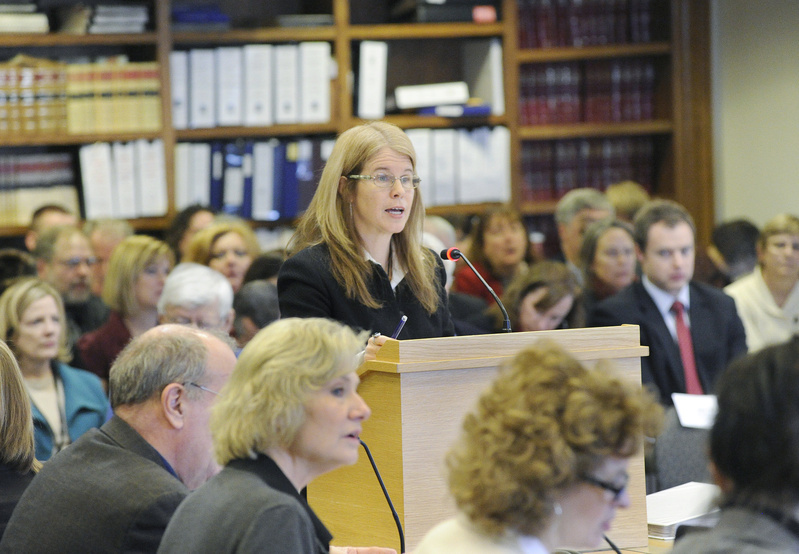 Mayhew said her department proposed ways to bridge the budget gap by looking for benefits that Maine offers, but that are not required by the federal government. Officials looked at Maine’s enrollment and how much is spent per capita compared with national averages. Maine provides health care for 35 percent more people than the national average and spends hundreds of dollars more per person than what’s common in other states, according to information from the governor’s office. Bishop Richard Malone of the Roman Catholic Diocese of Portland said he has deep concerns about the families that would be affected by the cuts. In particular, he is worried about the loss of some or all health insurance for 65,000 people, he said. 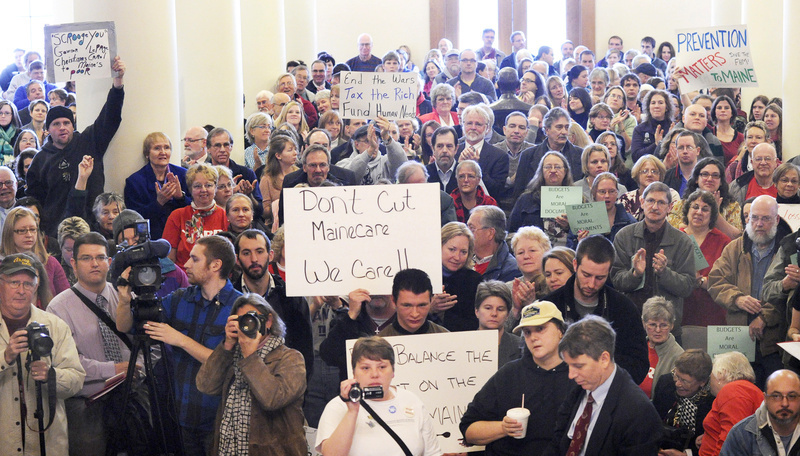 “It is without question that, should these cuts proceed, they will not only result in a cost shift to the local municipality and property tax base but dramatically impact the quality of life for tens of thousands of Mainers and the communities they call home,” he said. After seven hours of testimony, legislators remained at the State House on Wednesday night in case anyone wanted to testify after work. Katz said lawmakers learned more about the cuts by listening to the testimony, but it’s not an option to cut other parts of the state budget to balance the budget for health and human services. 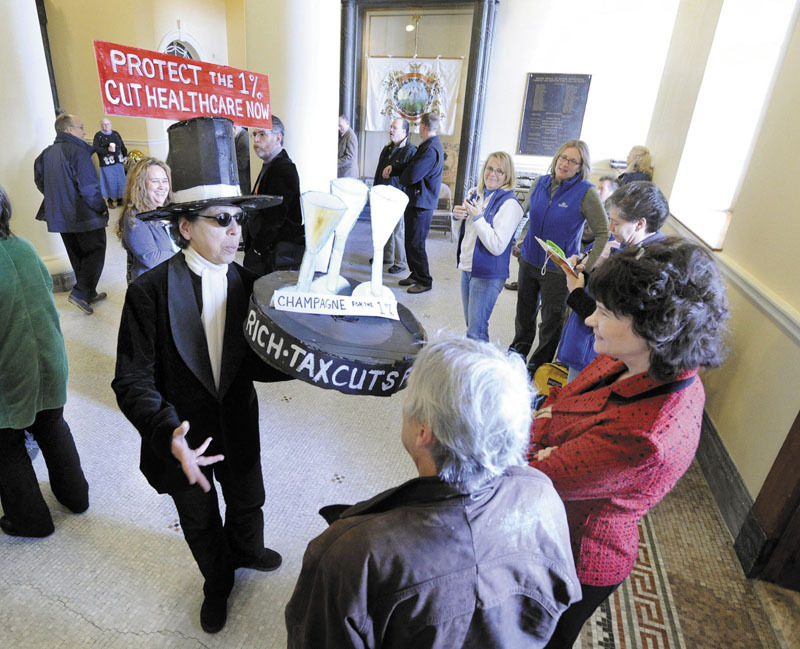 Democratic Sen. Margaret Craven of Lewiston said Democrats will not support the cuts proposed by LePage. From her perspective, $200 million in tax cuts that were approved in the budget earlier this year should be rescinded to cover the deficit in the DHHS. LePage did not attend Wednesday’s hearing. He was in Strong, in Franklin County, to meet with business leaders and residents during his 11th Capitol for a Day event. Sandy Keith, administrator of the Portland Center for Assisted Living, said in an interview that threats of reduced funding have been coming from the state for years. But questions now posed by the federal government about how Maine has been reimbursed for private non-medical institutions has her worried that this could be the time when the center is closed.